Security agencies across the world must forge greater collaboration to ward off cyber threats and to counter cyber criminals, including terrorists. 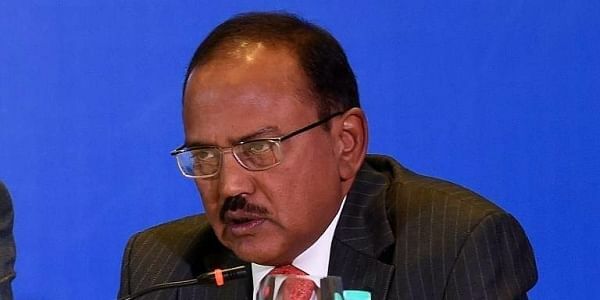 NEW DELHI: Security agencies across the world must forge greater collaboration to ward off cyber threats and to counter cyber criminals, including terrorists, National Security Adviser Ajit Doval said here on Friday. Speaking at the ministerial forum of countries participating in the fifth Global Conference on Cyber Space, Doval said that cyber challenges of present times were unique as terror groups were using Internet at far greater level than before. The problem was set to get compounded manifold as Artificial Intelligence, Internet of Things, and robotics gained more currency in the coming years, Doval said. "The cyberspace provides opportunities and challenges at the same time. While it provides global connectivity, it also provides connectivity to terrorists, which is worrisome," the NSA said. According to Doval, an orderly management of cyberspace was very important as it was expanding very fast. "Timely and swift response to threats posed by cyber criminals is the key," Doval stressed. The cyber world had changed the way we lived, he said, adding that never before had there been such a change that held such wide ramifications affecting all of us. "The world needs a new jurisprudence to deal with the growing challenges. We need a specific regime to deal with the cyber threats," he added. The private sector will have a very important role in that regime, the NSA said, along with the State and there was need to evolve a consensus among various stakeholders which should also ensure due representation to all people and geographies. According to Union Information Technology Minister Ravi Shankar Prasad, India's would be a voice of reason and moderation when it comes to digital equality. "India's will also be the voice of assertion for the digitally-deprived in a global platform. We need an egalitarian global cyberspace," Prasad said. "If we are to use cyberspace for inclusive growth, we cannot have islands of digital deprivation or preferential lanes on the digital highway. Access to the Internet cannot be discriminatory through preferential gateways. We believe in Internet access for all," Prasad, who heaped praise on Doval for being a "great doer", said. The Minister said India's story of developing an egalitarian digital ecosystem had delivered dividends. "India's digital drive has been based on three D's -- digital inclusion, digital access and digital security," Prasad said. Earlier in the day, National Cyber Security Coordinator Gulshan Rai said that in the wake of growing threats in cyberspace, lack of an international law has become a hindrance and countries must vouch for a common law to effectively deal with hackers.